The 22-year-old was overlooked for the Super Eagles' two matches this month after failing to score a goal for club or country since September. Rohr was scathing of Iheanacho on the eve of his team's Nations Cup qualifier against Seychelles. "I think he must be more professional," the German coach said. "We're not satisfied with his performances the last time he was with us. 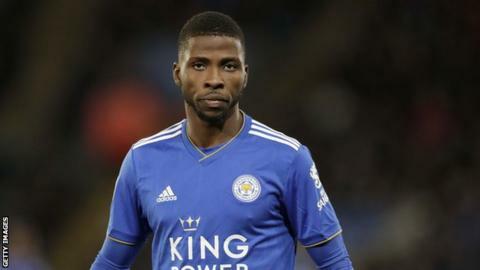 "There's a new coach at Leicester City (Brendan Rodgers) and it (his omission) will be an opportunity for Iheanacho to show during this international window that he wants to get back into the starting team of Leicester. "Personally, I think it's a good thing for him to stay back at his club to prove this." "It's not good enough to be funny all the time," he responded. "You must show that you are serious by working hard every day in the training sessions. "And show that you seriously want to come back into the team at the club and also with us." He starred as Nigeria won the 2013 Under-17 World Cup in the United Arab Emirates for a record fourth-time and emerged as the tournament's outstanding player, being voted the Most Valuable Player. He scored six goals to secure the Silver Boot as the competition's second-highest goal-scorer.